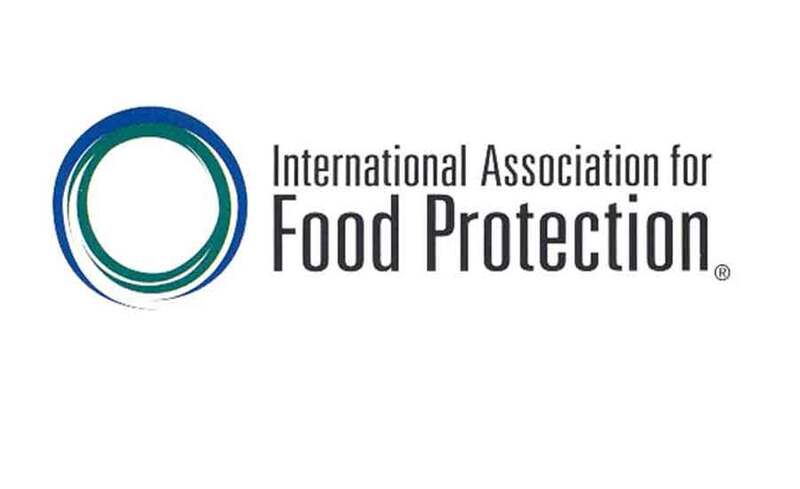 The International Association for Food Protection is proud to announce Dr. Alejandro “Alex” Castillo and Dr. Michelle Danyluk as candidates for the 2019–2020 Secretary. The elected Secretary will assume his or her position following IAFP 2019 in Louisville, Kentucky in July and will serve a five-year term of successive positions. Electronic ballots will be provided to all Association Members, and the election will remain open through March 5, 2019. Election results will be announced in April on the IAFP website, in the May IAFP Report, and in the May/June issue of Food Protection Trends. Dr. Alejandro “Alex” Castillo is Associate Professor in the Department of Animal Science and in the Graduate Faculty of Food Science and Technology at Texas A&M University in College Station, TX. Dr. Castillo teaches Food Microbiology and conducts research on microbial food safety, focusing on fresh and fresh-cut produce and fresh meats. He served as Chair of the Graduate Faculty of Food Science (2008–2010) and currently leads a food safety program for Latin America, seeking partnerships with Latin American universities in developing joint academic programs and collaborative research. Within this program, Dr. Castillo taught as invited faculty at various universities in Mexico, Central America, and South America. Prior to joining Texas A&M in 2002, Dr. Castillo worked at the University of Guadalajara in Mexico for 25 years as a professor, conducting research and teaching food microbiology and food safety. He also has an active research program focused on the development and validation of control measures for minimizing and reducing pathogens in fresh and fresh-cut food products; the bacterial education on beef and pork products and fresh produce by sanitizing rinses; the ecology of bacterial populations on the surface of raw fruits and vegetables; and the use of electron beam irradiation for food safety purposes. As a result, he has published 80 peer-reviewed articles. Dr. Castillo frequently lectures at professional conferences in Latin America, as well as in the U.S., Kenya, Armenia, and Australia. He currently serves as editor of the International Journal of Food Science. Dr. Castillo joined IAFP in 1995, and has been actively involved throughout his Membership. He has served on the Editorial Board for the Journal of Food Protection (JFP) (2000–2008), and on several of IAFP’s standing committees, including the JFP Management Committee (2012–2018); Program Committee (1998–2001 and 2003–2006); and the Fruit and Vegetable Safety & Quality Professional Development Group (2006–2010), including as Chair. He has also been a member on special committees, such as the Audiovisual Committee, Nominating Committee, several Award Selection Committees, and is the current Chair of the Awards Committee. From 2017–2018, Dr. Castillo served as the IAFP Affiliate Council Chair, representing Affiliates on the Executive Board. His work with IAFP Affiliates includes serving in his current position as Delegate and Treasurer for the Texas Association for Food Protection; helping establish the Mexico Association for Food Protection, of which he served as its first President; and as a frequent collaborator in the creation of new IAFP Affiliates. Dr. Michelle Danyluk is an Associate Professor and Extension Specialist of Food Safety and Microbiology in the Department of Food Science and Human Nutrition at the University of Florida (UF). Dr. Danyluk is situated at the Citrus Research and Education Center in Lake Alfred, FL. Her current research and extension interests include microbial food safety and quality, emphasizing the microbiology of fruit juices, fresh fruits, vegetables, and nuts. Dr. Danyluk’s extension program includes teaching processing programs related to FSMA, HACCP, GAPS, and other specialized food safety, security, and beverages to stakeholders. She served as the Project Director for the USDA-funded Southern Training, Education, Extension, Outreach, and Technical Assistance Center to Enhance Produce Safety, which provides assistance to the Southern U.S. produce industry for FSMA compliance. For this grant, she oversaw collaborators in 13 southeastern states, one territory, and with three non-governmental organizations. During her academic career at UF, Dr. Danyluk has served on numerous college, department, and center committees. She received the UF Institute of Food and Agricultural Sciences Richard Jones Outstanding New Faculty Research Award in 2011; an Excellence Award for Assistant Professors in 2013; and a Research Foundation Professorship Award in 2015. She was elected a member of the International Commission on Microbiological Specifications for Food (CMSF) in 2016. A Member of IAFP since 2002, Dr. Danyluk has organized, convened, and presented several IAFP symposia, and co-chaired the Local Arrangements Committee for IAFP 2017 in Tampa, FL. She currently serves as Vice Chair of the Constitution & Bylaws Committee and serves on the Program Committee. She previously served on the Nominating Committee, the Food Protection Trends Management Committee, and several Awards Selection Committees. Dr. Danyluk received the Larry Beuchat Young Researcher Award in 2010, and the President’s Recognition Award in 2011, 2013, and 2017. An active member of the IAFP Affiliate, the Florida Association for Food Protection, Dr. Danyluk served on its board from 2009–2017, and as President during 2011, when the Affiliate received the C.B. Shogren Memorial Award. Dr. Danyluk holds a bachelor’s in Biological Sciences with a specialization in Microbiology from the University of Alberta in Edmonton, Canada. She earned her master’s in Food Science and Technology from the University of Georgia, Athens, and her Ph.D. in Food Science from the University of California – Davis, where she also completed a postdoc for an additional ten months. The International Association for Food Protection (IAFP) represents more than 4,300 food safety professionals committed to Advancing Food Safety Worldwide®. The association includes educators, government officials, microbiologists, food industry executives and quality control professionals who are involved in all aspects of growing, storing, transporting, processing and preparing all types of foods. Working together, IAFP members, representing more than 70 countries, help the association achieve its mission through networking, educational programs, journals, career opportunities and numerous other resources.